If you are selling or buying a home, you may hire a real estate broker or agent. You will need to sign an agreement with the broker that details the nature of your relationship and each party’s obligations. The real estate attorneys at Pulgini & Norton advise Boston sellers and buyers in the purchase and sale of property. If you decide to work with a broker, we can explain the terms of your contract and his or her duties to you. As an agent, a real estate broker will have certain fiduciary and legal duties to the person who hires him or her, or the principal. The broker must act in the best interest of the client, which includes making reasonable efforts to market or locate a suitable property, and disclosing all material or important facts about the property’s condition. Provide an agency disclosure form that describes the nature of the relationship between the parties. A broker in Massachusetts may act as an agent for the seller, buyer, or as an agent for both. If you are a seller, you will sign a listing agreement with the broker. The listing agreement covers the broker's efforts to sell your property. The broker has to work diligently to find a buyer, and you agree to pay a commission if the broker finds one. In Massachusetts, most sellers will sign an exclusive listing agreement, which means that the listing broker has the right to the commission even if you are solely responsible for finding the buyer. The listing agreement will include the sales price of the home and the length of the listing time. It will also set out the broker’s responsibilities, such as showing and marketing the home, holding open houses, and negotiating with the buyer. Sometimes, a seller will want to terminate the listing agreement before its expiration. If this is your situation, there may be language in the document that specifically covers termination. You could also have the right to terminate if the broker failed to perform under the agreement. In some cases, you may simply need to wait until the agreement expires and then relist your property with another broker. If you are a buyer, you can hire a broker to help you find a suitable property. As your agent, the broker has to place your interests first. 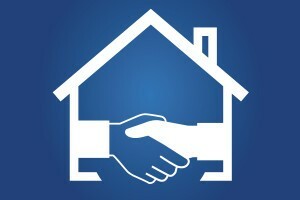 The agreement between you and the broker will detail the broker’s duties, which typically include finding property at a price and under the terms that are acceptable to you, presenting your offers and any counteroffers in a timely manner, and disclosing any known material facts about the property or transaction. In exchange for the broker’s services, you will pay him or her a fee, or commission. You may have to pay the commission even if you find the property without the broker’s help, or if you close on a property for up to a certain period of time after the agreement expires. A broker may act as an agent for both the seller and the buyer. To act as a dual agent, the broker must get the express written consent of both the buyer and the seller before an offer to purchase is made. The broker has to remain neutral if any conflicts arise between the parties. Although the broker has a duty of confidentiality and accounting for funds, he or she cannot fully satisfy the duties that an agent for the seller or buyer would satisfy. At Pulgini & Norton, we provide seasoned representation and guidance in the purchase and sale of real estate. Our property transactions lawyers can explain the laws and documents that cover your relationship with a real estate broker in the Boston area. We can review your agreement with the broker, explain any potential pitfalls, and discuss your options if you encounter a problem with the relationship. We represent clients throughout Braintree, Somerville, and Malden, in addition to the surrounding communities. Call us today at 781-843-2200 or complete our online form for a consultation.